Single-Sided Window Stickers are a popular choice for short & long term window applications. CSK offer both standard & large format sizes in a variety of different types. Window decals are often used for retail promotions, vehicle parking permits, security & alarm notices, & other uses. Regular Reading − Regular read or 0utside placement stickers have the adhesive on the back and the image on the front. This is an "ordinary" or "regular" sticker. 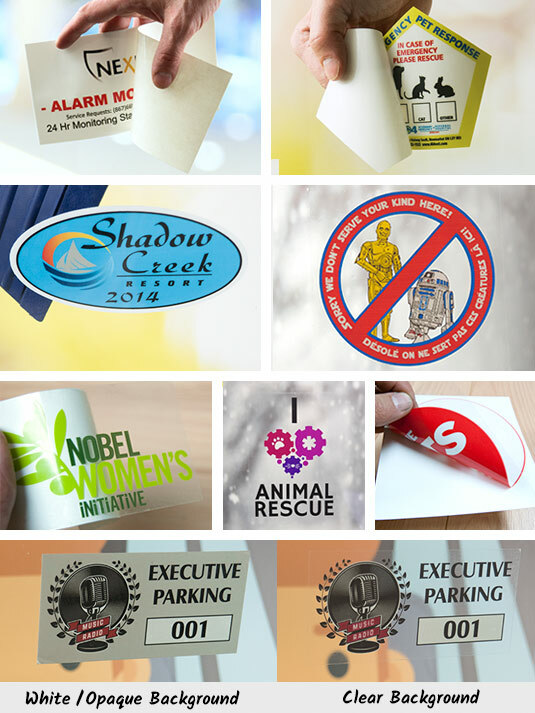 It is the same as a bumper sticker or equipment decals, and can also be used for these applications. Inside Placement − Inside window placement stickers have the adhesive on the image side. They are sometimes called reverse window or subsurface print decals. They are printed backwards on clear vinyl, often with a white print or laminate behind the image. This way they can be placed on the inside of a window and read from the outside. This is the most common type of window sticker.